Recipe (all supplies from Stampin’ Up! 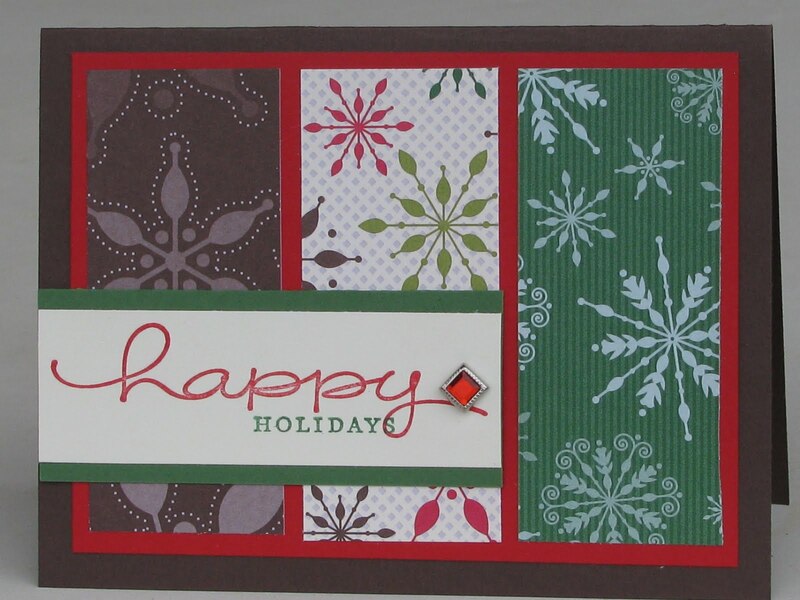 ): Chocolate Chip, Real Red, Very Vanilla & Garden Green card stock/ink, Merry Moments Designer Series Paper, Happy Everything stamp set, Square Rhinestone Brad. Beautifully done! Love the mix of papers you used!